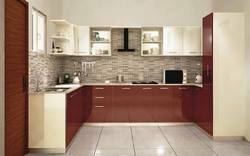 Leading Manufacturer of modular kitchen service from Faridabad. Price Range : Rs .1150 to 1550 Square Feet . Looking for Modular Kitchen Services ?